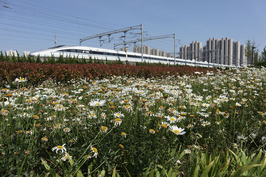 China Railway Corp. (CRC) plans to spend more than 100 billion yuan ($14.6 billion) over the next three years to expand its freight transportation capacity, a person from the state-owned railway operator told Caixin. CRC plans to buy 3,756 locomotives and 216,000 freight cars amid a government push to lower use of high-polluting diesel trucks for commodity transportation. The new purchase plan would nearly double CRC’s total new train buying over the past five years. On July 2 the rail operator said it would increase freight volume by 30% in the next three years. 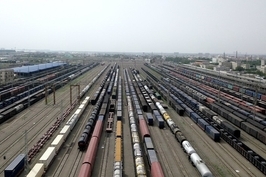 By 2020, annual rail freight volume is expected to reach 4.79 billion tons, with bulk commodities accounting for more than 90% of the total, according to the CRC. The CRC source said the company will first buy 40,000 carriages and 188 locomotives this year. The new transportation capacity will require an additional 21,000 workers in the system in the next three years. A railway industry source said CRC’s new rolling stock purchases may actually cost as much as 160 billion yuan, based on the average price of the most commonly used freight train and locomotive models in China’s railway system. 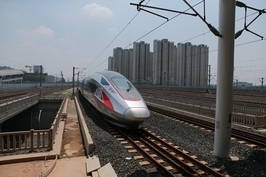 A staff member at CRRC Corp., China’s largest rolling stock manufacturer, said CRC’s purchase plan will provide a major boost to the industry, which has suffered years of slow growth because of overcapacity. CRRC is China’s dominant freight train manufacturer and accounted for nearly 80% of CRC’s freight train orders in recent years. But CRRC has reorganized its business and slashed production at some subsidiaries since 2016, reflecting slack demand. Last year, the volume of freight handled by CRC rose after declining since 2012. CRC said freight volume in 2017 surged 10% to 3.7 billion tons, boosting cargo revenue to 695.8 billion yuan. 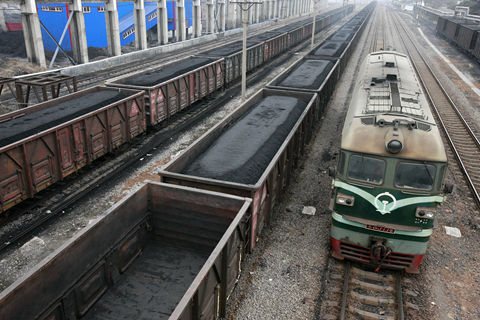 The rebound followed a government ban on transporting coal, ores and steel by road in some northern Chinese regions such as Hebei province. The ban is part of China’s efforts to fight air pollution.